A superbly proportioned and beautifully presented villa laid out over three floors situated in one of the most prestigious areas in Cyprus; located in the sought-after village of Neo Chorio bordering the Akamas National Park just a short distance from Latchi harbour and is available for sale in immaculate condition. 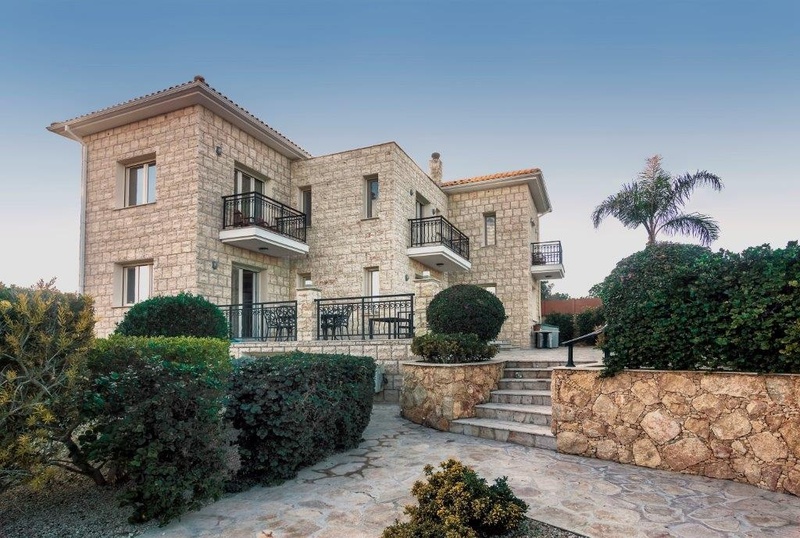 The property is in an elevated position with sea and mountain views from all aspects. Adjacent to the property is approximately a further 1,450 square metres of land also available, which can be used to the buyers own requirements. This high specification 4 bedroom 5 bathroom villa is set in approximately 1,536 square metre plot, in magnificent landscaped gardens with spectacular sea and mountain views. Has a spacious open plan layout with lounge, dining room and Italian fitted kitchen. A large basement and gas central heating. It has a 10metre x 5metre overflow swimming pool fitted with an electronically controlled safety cover, surrounded by a large paved area, pool shower, bar and fitted kitchen, toilet and covered area. Ground floor; Double Front Doors leading into Lounge with Log Burner and Triple Folding Doors to the rear leading to a Veranda, Fully Fitted Italian Kitchen with Granite Worktops and Granite Splash Backs, Breakfast Bar, Patio Doors leading to a Veranda, Dining Room, Double Bedroom with Fitted Wardrobes and Patio Doors leading to a Veranda, en-suite Shower Room. 1st Floor; 3 double bedrooms, each having fitted wardrobes and Patio Doors leading to individual Balcony's, all bedrooms are en-suite, the master bathroom suite having top of the range Vita Spa Jacuzzi Bath. Very spacious Basement with re-enforced floor to accommodate parking, Storeroom fully fitted with Wardrobes, plus a further Storeroom Shelved, a Shower Room, Utility room with Granite Worktops and Granite Splash Backs, Washing Machine and Tumble Dryer. This is an extremely versatile room currently being used as a games room with Pool Table, Air Hockey, Table Tennis, Darts, Gym and TV Leisure Room. It could very easily be used as separate accommodation by simply removing the roller shutter door and installing patio doors to make an apartment suitable for live-in Maid etc.